Hang Together or Hang Separately? to Losing it to Individual Foreclosures? To view the future of many common interest developments take a look at the present-day reality of those recent condominium conversions that were born with serious maintenance issues and a major cash deficit. The financial condition of these projects shows us what other associations will encounter as their need for maintenance and repair overwhelms their budgets. If an association cannot pay for essential maintenance, the value of the units will drop, similar to the recession-caused loss of value today. But they will fail to sell notwithstanding lower asking prices, and the owners, many now under water, will stop paying their assessments. When the association gets to the point where it cannot pay for essential services or do critical maintenance, the local municipality will have to decide if the units remain habitable. If the answer is “no,” condemnation may be next step. But the owners may not have to wait for the local municipality to act. The O’Toole case which was discussed in a previous post (November 17, 2008) decided that a board of directors of a community association not only has the obligation to pay the debts of the association, it also has a duty to specially assess the members sufficiently to pay those debts, and not only that, a receiver may be ordered to insure that these obligations are carried out. So then the question arises--what if an owner decides to sue the association for failing to adequately maintain the project and the owners cannot afford the special assessment levied to pay the resulting judgment? If a court orders an assessment that the owners cannot afford, the next logical step would be for the court-appointed receiver to initiate foreclosure of the properties to collect the unaffordable assessment! Whether this is a likely scenario or not is irrelevant--it is one of the few legal options available if a court-ordered assessment were to exceed what the owners have the ability or the willingness to pay . 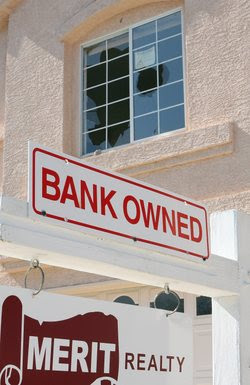 With no way for the homeowners to satisfy the court judgment, foreclosures would no doubt ensue. If the owners could not afford the assessment or if the assessment exceeded their equity, (again not surprising, especially in the seriously depressed market that exists today,) a court-appointed receiver may have no choice but to empty out the development, substituting banks or other lenders in place of homeowners and most likely turning the property into a rental apartment that would be owned and maintained by the foreclosing lenders, who would likely also take a loss on the deal. The court in O’Toole obviously ignored an essential truth--that while it may ultimately be up to the owners to pay for maintenance and repairs, if they lack the cash to do that, the project will likely default to multiple lender ownership and no one will win. But there may be yet another alternative. In California, and in other states, there is a legal remedy for an obsolete common interest development, its called "Partition." Now, "partition" may sound like division, but actually it allows an entire project to be ordered sold as a single parcel. California law allows partition of a community association in one of three instances: (1) Material damage or destruction occurring more than three years prior to the partition request and repairs have not been made; (2) At least three-quarters of the project has been damaged or destroyed, and 50% or more of the separate interest owners oppose re-construction; and (3) The project is 50 or more years old, is obsolete and uneconomic, and more than 50% of the owners oppose restoration. Many associations are approaching the 50-year mark. But even before that, could a seriously deteriorated infrastructure qualify as “material damage” to the point where it would qualify under the statute above? Would a court, looking at a project that has deteriorated to the point of becoming uninhabitable amid claims of improper maintenance, order partition in lieu of ordering the owners to pay an unaffordable assessment? Could a majority of owners force the project to be sold in its entirety to avoid individual liability for such a judgment, and if they did would they realize more value than trying to sell their individual unit in a badly deteriorated project? The answer is, that in the right circumstance with the right facts: yes. What are those facts? If the special assessment necessary to achieve basic habitability exceeds the ability of the present owners to pay, you may not need anything else. A majority of owners, or a court, could force a partition of the property and sell it as single parcel. We have discussed many times the possible greater value that an older project may have sold or redeveloped as a single parcel than as a collection of individual condominiums. This situation, played out over time, may await many common interest developments today. They are under-funded for critical maintenance, values have fallen, and owners have no incentive to contribute additional capital. But rather than wait for a judgment creditor or lenders to foreclose, the association should look critically at the possibility of selling the entire project and thus potentially realize greater value from a sale or redevelopment as a single parcel than as multiple individual interests that cannot continue to survive on their own. This may seem like a draconian reaction to an inability to raise sufficient funds to maintain a common interest development, but if the owners wait long enough without taking any alternative action, their individual interests may become worthless. So rather than watch the project deteriorate to the point where it is no longer habitable or is vulnerable to lender takeover, owners of severely distressed common interest developments might want to consider an outright sale of the entire project. Clearly, we are talking about a project in a great deal of financial distress, but our experience with hundreds of old and aging projects tells us that some are already there. If you believe that this situation may exist in your association, talk to your legal advisor about your options. Using partition to maximize the value of the project by selling it as a single parcel could be an alternative to handing it over to the banks and walking away. I welcome all comments on what I post on this blog--good, bad, or indifferent, but I request that those posting comments identify themselves. I am very clear about who I am and what my positions are on the issues presented. Anonymous comments deprive the reader of the ability to weigh opinions against the background of the poster and will no longer be published. I will also reject comments that contain links to advertising. The Board's Dilemma--How Does a Community Association avoid a Funding Crisis? When Market Value Slips Out the Back Door! Disaster! What's left if a Natural Disaster Destroys a Community Association? Good Legal Advice or Confidence Game? Landslides: Nuisance or Construction Defect? The New Reality--Can You Redevelop Your Condo Project as a Single Parcel? Copyright 2010 Tyler Berding. Watermark theme. Powered by Blogger.